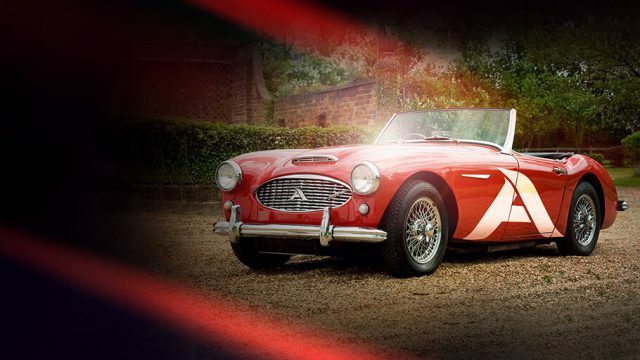 Classic car insurance is specialist insurance designed for vehicles generally over 20 years old and driven as a second vehicle (although we can do modern classics depending on the model and mileage), these cars are usually treasured by their owners and are collectible. Classic vehicle insurance differs from normal insurance in that it allows you to “agree the value”. This means you have an insurance contract under which the insurer agrees to pay the insured a stated amount in the event of the total loss of the vehicle insured, without any adjustment for depreciation or appreciation. Does classic car insurance mean limited mileage? Usually, classic vehicle insurance policies also have restrictions on the mileage and where the vehicle is stored but the benefit of this is that premiums are usually significantly lower than “normal” car insurance. We do also offer some unlimited mileage policies, but there are specific terms for these contracts. Does your classic car policy include cover for multiple drivers? Most classic vehicle insurance allows options of insured only, insured and spouse, insured and named drivers (usually up to 4 extra drivers) or even any driver over 25 years old, depending on the scheme. We can also cater for all ages of drivers of classics from the age of 17 to 85 (subject to experience and vehicle type). Usually, however, this needs to be a second vehicle. Can I have multi-vehicle classic car insurance? We can do multi-vehicle classic policies and in actual fact, most insurers give a discount for the more vehicles you insure as you only drive one vehicle at a time. Does classic car insurance cover track days? Certain classic insurance policies include track day cover, some for an extra premium, some cover for continuality rallies. It is always best to check with your insurers before you take part. We can also arrange standalone track day cover so that you can have peace of mind that you are properly covered whilst testing the abilities of your vehicle. Can I use my classic car at events and shows? All of the insurers we deal with give cover for shows and events, so if your vehicle is on display it is covered for accidental damage, fire and theft (assuming the vehicle is left secured). If you wish to take your classic vehicle abroad then we have a range of schemes that can cover you whilst you are away. These give comprehensive cover throughout the European Union and the territorial limits of the policies. If you wish to take you vehicle further afield then we can organise bespoke insurance to suit your needs. Club membership with CVI can give up to a 30% discount on our insurance depending on the scheme. On top of this, it is also a great way to meet like-minded people and get involved in events and shows. The members have a wealth of knowledge and experience and are usually willing to help you out when there is a problem. Clubs also can be a source of cheaper parts. What are the key things to consider when you buy classic car insurance? Price is an important factor as always when arranging insurance but it is also worth considering who you will be dealing with, what their claims service is like if you make a claim and how much they charge for making changes to your policy. How easy is it to arrange agreed value? Do the insurers charge for this? Who will calculate the agreed value and will they agree the value you suggest? Are any additional benefits included in the policy i.e. breakdown, legal cover and do they actually cover your needs e.g. does the breakdown cover include Europe, is it just roadside assistance and will it cover the gross vehicle weight of your classic? What you are using the vehicle for? Will it be for occasional wedding hire or just as a “high days and holidays” vehicle. Do you want to go classic rallying or hill climbing? Where will it be stored? The best advice is to contact us so that we can find the right policy for your needs as we use a panel of insurers to find you the right cover at the right price. We offer a personal, knowledgeable service and like to meet our clients at the shows and events we attend.